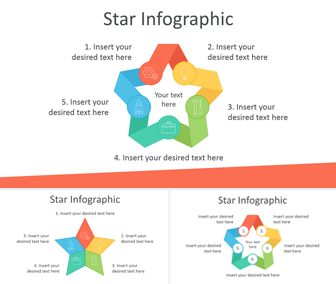 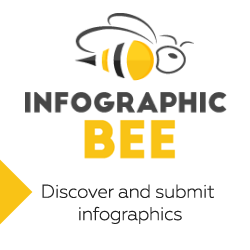 Free star infographics for PowerPoint with vector-based shapes. 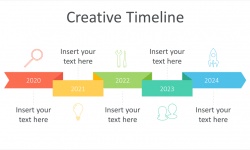 This template includes three slides with modern thin line icons along with text placeholders. 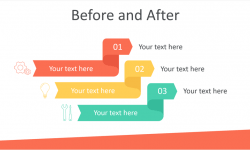 The first slide features a ribbon star with five steps and icons. 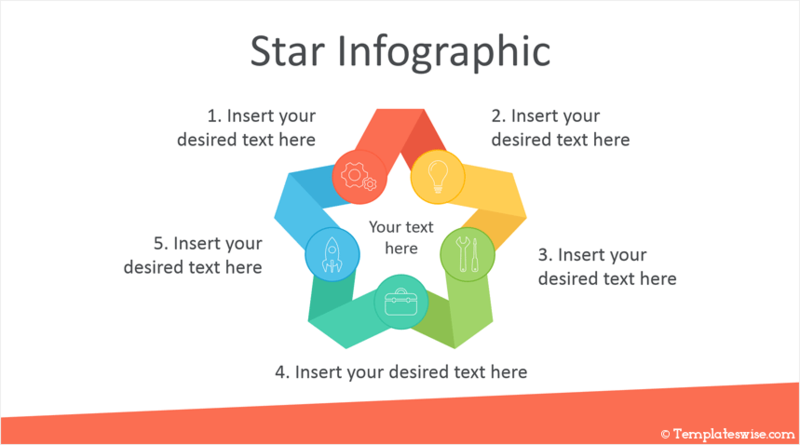 The second slide is a five-pointed star with icons inside and text placeholders. 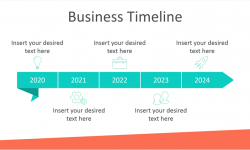 Finally, the last slide is a variation of the first design with numbers instead of icons. 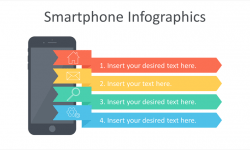 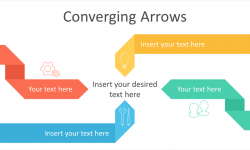 Use these infographics to illustrate a five-step process, the shapes colors and size can be customized in the slide master view in PowerPoint. 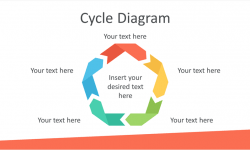 See also our Gears Infographics for PowerPoint with the same style and colors.